iPhone users celebrate. 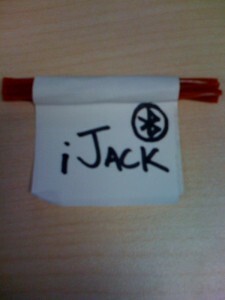 Introducing the Pineappleope.com Developed iJack. Details are vague, but it will be sporting Bluetooth 199.323 90mb/px/per/in capabilities, BUILT IN. No more messy antennas. It also will come in fancy red and white. The iJack Executive Edition (iJEE) comes in chrome.